This research line addresses key issues in the field of digital media, cultures and infrastructures: in what respect can we say that a social network is more “open” than another? How can we even imagine to study transient online aggregations? What is the role of code and other artifacts in keeping these aggregations going? To what extent can and should we exert our right to “non-use”? And how does code hit the ground in our networked cities? These and other questions have mainly been pursued during my PhD studies at the University of Milan Bicocca, and even before at the department of Media and Communication Studies at the University of Bologna. Drawing upon case studies selected from Ars Electronica’s Digital Communities competition, this paper analyses the limits of the categorization variables traditionally used to classify online communities, and proposes a new classification system made of two variables measuring the “openness” of the community. The first variable enacts Actor-Network Theory’s distinction between mediators and intermediaries, while the second considers the degree of openness of the regimes of access and visibility enabled by groupware architectures. On-field evaluation of this classification system shows three advantages: since it is based on the abstract criterion “openness”, it does not arbitrarily reduce the richness of the techno-social world, but rather allows researchers to cluster few types of online community. In addition, it is of some merit in tracking innovation in techno-social assemblages. Pelizza, A. (2008), ‘Stretching the Line into a Borderland of Potentiality. Communication technologies between security tactics and cultural practices’, in Aurigi A., De Cindio, F. (Eds. 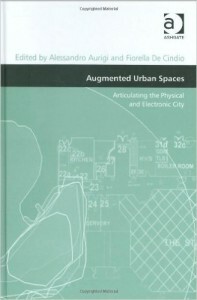 ), Augmented Urban Spaces. Articulating the Physical and Electronic City, 235-254. (Aldershot: Ashgate). In the Western “exploded” city, there seem to be two opposite attitudes towards physical public spaces. On one hand, the growing claim for security and standardization of social practices under the umbrella term of ‘civility’ or ‘proper behaviour’ have been addressed by scholars since the publication of the ‘Broken Window’ theory. On the other hand, artists’ initiatives emphasizing the unpredictability of different socio-cultural realms in cities have been reclaiming public domain open to heterogeneous groups. 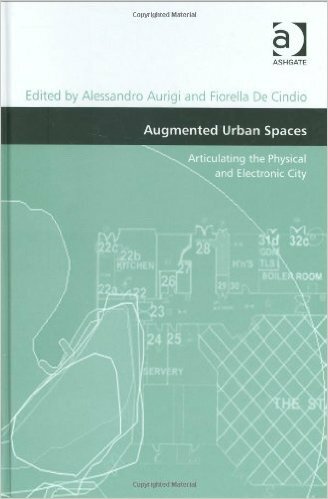 ICT themselves are to a great extent involved in shaping the responses to both the requests for security and openness, as a sort of interface between the familiar and the unheimlich of urban public environments. While computer code automatizes the sorting of individuals and groups into categories of risk and degrees of ‘otherness’, artist networks activate public domains and create conditions for agency by pushing invisible interactions out on to the visibility of city streets. Here, ICT are seen as an additional communicational layer providing opportunities in order to substitute binary narratives of conflict with grassroots or just multi-faceted ones. Pelizza, A. (2009), ‘Sei su Facebook? No, grazie’, Inchiesta. 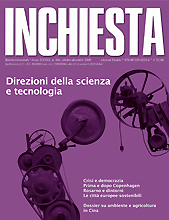 Rivista di Studi Politici, 166 (October-December issue). Five arguments to exert the right of non-use of the most popular social networking platform. Pelizza, A. (2009), Tracing back Communities: An Analysis of Ars Electronica’s Digital Communities archive from an ANT perspective. Ph.D. thesis, University of Milan-Bicocca. Since long before the popularization of the Web, community-making has been a significant driving force for the development of the Internet. As a consequence, in mid 1990s online communities became a key object of study at the intersection of social sciences, organizational studies and computer sciences. Today, about fifteen years after these early studies, the concept ‘online community’ seems to be at stake. As a matter of fact, while communitarian ties enabled by digital media are more and more invocated, in late 2000s the Internet is revealing itself as a much more bureaucratic and profit-oriented domain than ever, to the point that it is not clear whether there exist online ties that are specific enough to be called ‘communitarian’. In order to analyse such an opaque and unstable object of study as current techno-social assemblages, innovative methods specifically developed to study fuzzy objects have to be devised and some epistemological questions have to be addressed. This research starts indeed from the impasse that the digital communitarian culture is experiencing at the end of the 2000s and borrows some epistemological insights from the Actor-Network Theory. By analyzing the entry forms submitted to the world’s leading competition for digital communities, Prix Ars Electronica, this research thus calls into question some ‘black-boxed’ concepts like ‘cyberculture’, ‘digital revolution’, ‘empowerment’ and ‘online community’ itself. On one hand, the results bring into question both leading sociological positions and hype-generated commonplaces. On the other hand, the results offer evidence to those arguments according to which current ICT developments represent the beginning of a new phase of technological enclosure.